For devoted fans of the show, the time has come to make your triennial pilgrimage to the Plaza. Why See Rocky Horror Picture Show? Don your highest high heels, fishiest fishnets, tautest of corsets and other generally garish garments! It's time to do the Time Warp... Again! Back by popular demand for another year, the Lyric Theater of Oklahoma's Rocky Horror Picture show returns triumphantly in a brand new production for 2019, spreading the devilish delights of Richard O'Brien's horror-comedy-sci-fi musical as well as spreading its mischief and mirth to Rocky regulars, sweet transvesites and first-timers. Filled with toe-tapping and instantly singable classics like 'Science Fiction/Double Feature', 'Touch-a, Touch-a, Touch-a, Touch Me', the iconic 'Time Warp' and 'Hot Patootie', the Rokcy Horror Picture Show chronicles the misadventures of virginal childhood sweethearts Brad and Janet, who hit a flat during a storm and seek shelter in the creepy looking mansion they deem the 'Frankenstein place'. There they meet the outrageously fabulous transvestite scientist Dr. Frank-N-Furter and a host of misfits including Riff Raff, Magenta and Columbia, who rock their minds and bodies with a whole new scintillating way of being. Please note: the above image is from a past production of Rocky Horror at the Lyric and does not reflect current casting. Seen Rocky Horror Picture Show? Loved it? Hated it? Sound good to you? 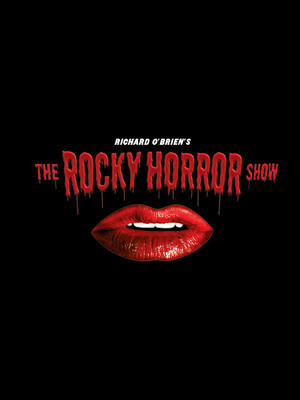 Share this page on social media and let your friends know about Rocky Horror Picture Show at Lyric Theatre of Oklahoma. Please note: The term Lyric Theatre of Oklahoma and/or Rocky Horror Picture Show as well as all associated graphics, logos, and/or other trademarks, tradenames or copyrights are the property of the Lyric Theatre of Oklahoma and/or Rocky Horror Picture Show and are used herein for factual descriptive purposes only. We are in no way associated with or authorized by the Lyric Theatre of Oklahoma and/or Rocky Horror Picture Show and neither that entity nor any of its affiliates have licensed or endorsed us to sell tickets, goods and or services in conjunction with their events.